Nu-Dimension Kitchen and Bath Remodel LTD brings over 30 years of experience to every project. I believe in treating you the way I would want to be treated, and ensure that your remodeling project is everything you had envisioned. I take pride in my reputation of honest, reliable and high-quality workmanship in every Bathroom and Kitchen. I do my own Plumbing, Electrical, Drywall, Tile, Painting, etc. Since my bathroom and kitchen remodeling business is referral-based, your satisfaction is my number one priority. Although we do specialize in Bathrooms and Kitchens, Nu-Dimension Carpentry and Tiling can handle all aspects of Remodeling and Renovations. Developed my own system and procedure in curb-less showers, for exceptionally clean and aesthetic results. At Renov8t, we specialize in taking your existing spaces and transforming them into functional and attractive rooms. We use only the best tools, methods and people to ensure every renovation project is done correctly, cleanly and timely. You’ll be amazed to see what can be done with the spaces you currently now have. Whether you want a new kitchen, an updated bathroom or an upgrade to any other part of your home, RENOV8T will ensure the project is built correctly. All of our work is not only up to code, but we exceed code standards at every possible opportunity. We don’t want your renovation to be simply good, we want it to be excellent. We don’t take shortcuts and we don’t hide mistakes. We stand behind our work and back that up with complimentary adjustments even years later should the need arise. 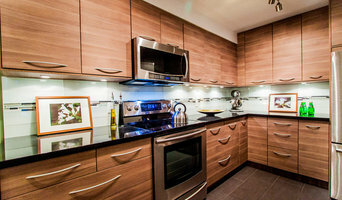 Located in Vancouver, I am a General Contractor who specializes in Custom Kitchen & Bath Renovations, including all other aspects of interior home remodeling. Expert in all Schluter Shower, Floor & Waterproofing products including barrier free showers. Tile, Stone, Brick, Cultured Stone. JHR is a bathroom and kitchen renovation specialist with a background in tile and stone installations. We set out to provide quality kitchen and bathroom installations and pride ourselves in customer satisfaction. Whether you are building your dream home or renovating your home to keep it up to date, we at JHR Contracting are able to help with all your renovation and tile installation needs. INNOVERA Home Concepts is an award winning boutique company based in Vancouver, British Columbia and specializes in residential and commercial renovation projects; recognized and well known for complete home renovations, kitchen and bathroom design and renovations. How we are different from the rest? - We provide seamless design and renovation process from conception to completion, we work with a small group of people who are dedicated to your project and will be available to answer any questions you may have, discuss what’s hot and trendy and help you turn your vision into reality. Our goal is to create for you a place that combines beauty and practicality, where you will enjoy living. We are incredibly passionate about our work and have developed relationships with trusted trades and suppliers, which allows us to provide you as a customer with the best products and services available. Our ability to adapt to your individual needs sets us apart from our competitors. From high-end bathroom and kitchen design and renovations to cost effective improvements, our intention is to ensure your satisfaction by applying our experience and imagination to your project, by delivering quality work at competitive prices by friendly professionals. Our mission is continued customer satisfaction delivered by excellent craftsmanship and our passion for quality. We are committed to work closely with you on your project to make sure we meet your specific needs. Coast View Construction has been providing exceptional remodeling and building experiences for Northwest Washington clients for over 25 years. From kitchen and bathroom updates to complete home remodels, we will develop a plan and process specific to your needs. We are a Certified Aging-In-Place Specialist. We value the financial and emotional commitment that you make when deciding to build or renovate your home and we are committed to serving as your trusted partner. With decades of professional knowledge and field experience, we have come to “expect the unexpected” during the remodel process, allowing us to resolve issues proficiently without compromising the timeline or budget. As Master Remodeler Council professionals we are committed to providing the best possible experience for your remodeling project. Our success depends on your satisfaction. 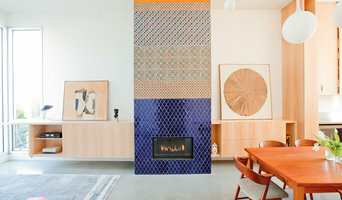 Call or visit our website at www.coastvc.com to see our customer testimonials, visit our project galleries, or request a quote for your next project. Westwood Heritage, established in 2005, is a general contractor offering renovation and remodelling services as well as specializing in heritage millwork restoration. We can provide a variety of jobs including kitchens, bathrooms and complete condo renovations, fireplace remodelling and exterior millwork. Our approach to customer service is personal and transparent which supports are our core values of integrity and professionalism. The satisfaction that comes with building something from scratch is what keeps us motivated and passionate to carry on. Our British family background consisting of carpenters, boat builders, engineers and teachers, has kept us grounded and appreciative of the relationships we develop and nurture with our clients and team members. Contact us, you'll be surprised how we can help. A craftsman’s touch and white glove customer service. Our incredible cabinet transformations involve taking your existing cabinets and spraying them with the highest quality & low-VOC lacquers. The result is a factory finish that will stand the test of time AND comes with a 2 year warranty. You can have your cabinets refinished using a variety of colours, sheens, and hardware selections. We now ALSO offer: -Engineered stone countertop supply and installation -Kitchen tile backsplash demolition and install This means you can completely remodel your kitchen for a fraction of the time or cost of a full gut renovation! How we do it is what makes us unique: CPV has developed the fastest, most cost effective, and highest quality refinishing system to give your cabinets a new lease on life. Our process really is the quickest, taking only 3 days to complete. The result is a like-new factory finish using low VOC lacquers that will stand the test of time. There’s no demolition, no need to empty a single cabinet, and no month to wait without a functioning kitchen. In just 3 short days you can be enjoying your “new” cabinets again! Our refinishing process already costs less than 50% of the price of installing new cabinets but we also want to take the guesswork and unpleasant surprises out of planning your dream kitchen so we’ve created guaranteed fixed prices based on the size of your kitchen or bath. Simply count how many doors & drawers you have and you know the cost. What do we mean by white glove service? We want you to be ecstatic we’ve arrived, not inconvenienced while we work. So we take care of the small things like reserving a spot for you at some of our favourite local eateries, including a complimentary professional cleaning once our work is done, and even scenting the products we use with natural and plant derived scents to eliminate any paint smell. SKG specializes in premium kitchen and bathroom renovations. We are a small shop that works with our clients to manifest their vision of the perfect bathroom or kitchen space. We pride ourselves on making the homeowner an integral part of the design and scheduling of their projects. This helps create a harmony on the job site (and in the home) which allows the client to experience excitement and anticipation about the entire process, rather than the anxiety often associated with renovations. This approach allows SKG to create, comfortable, premium spaces, as well as positive, experiences for our clients to enjoy for years to come. 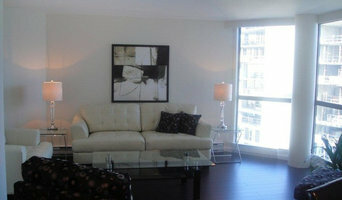 Visit skg-renovations.com to view some of our recent works and testimonials from our happy clients. We love what we do - and so will you! High quality remodeling home repair primarily serving West Vancouver. Known as the 'quiet contractors' due to our unusually small footprint. Our job sites are well organized & tidy. We protect your privacy and property by using a small number of multi-trade master installers who are also owners of the company. Sometimes less is more. When you are the person doing the next step, you care more about the step you are on now and can immediately progress into the next stage of work. This is what sets us apart from our competitors - we do not have the extra cost, time & complication of sourcing, scheduling & damage controlling multiple sub trade crews and employees endlessly marching in and out of your private property. Each project is very special to us, we love what we do & care what kind of legacy we leave behind. Victoria's enthusiasm & entrepreneurial skills brings creative insights & unique ideas to her clients projects. Her hands on duties range from design, color consultation, sourcing, quoting, accounting, HR and customer service. Her hands on skills include, painting & staining, drywall repair, tile setting, wood working & finishing & while her manager Mateus takes the lead on all other sub trades. Qualita provides the highest quality services to help you have a welcoming and well maintained home today and secure the value of your property for the future. We deliver first class renovation, restoration and repairs across the Vancouver Lower Mainland. With almost two decades of experience in construction and project management, we have the expertise to deliver superior results. We can help with whatever you need to transform your ideas into your dream home – from design and supply procurement to assistance securing permits and all range of construction and maintenance services. What does a Richmond kitchen and bath remodeling expert do? 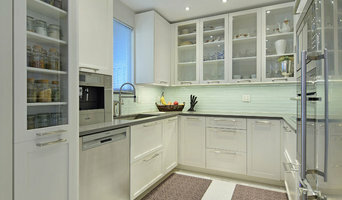 Licensed British Columbia kitchen and bath remodelers are contractors who specialize in altering the structure of an existing space, rather than building one from the ground up. Because he or she must deal with a previous builder’s work, the job can get more complicated than new construction. You might wonder why they often specialize in both kitchens and bathrooms, but if you think about those two spaces, they actually have a lot in common. Kitchens and bathrooms include an abundance of fixtures that require careful planning and installation, including sinks, faucets, tubs and toilets that all need water hookups and drainage. They also use similar materials, such as tile and stone for countertops and flooring, due to the nature of their use. So it makes sense that Richmond kitchen remodelers and bathroom remodelers be one in the same. A bathroom or kitchen remodeler translates architectural plans from page to reality; some are also trained to provide design services so that you don’t have to hire a separate pro. Like a general contractor, a kitchen and bathroom remodeler in Richmond, BC is responsible for hiring and supervising subcontractors and providing materials when necessary. They also should have a thorough knowledge of British Columbia building codes and construction-related legal issues, as well as current design and product trends. Here are some related professionals and vendors to complement the work of kitchen & bath remodelers: Woodworkers & Carpenters, Kitchen & Bath Designers, Interior Designers & Decorators, Architects & Building Designers, General Contractors. Find a Richmond kitchen and bathroom renovator on Houzz. Narrow your search in the Professionals section of the website to kitchen and bathroom remodelers in Richmond, BC. You may also look through photos of Richmond, BC spaces to find kitchens or bathrooms you like, then contact the bathroom or kitchen remodeler who worked on it.